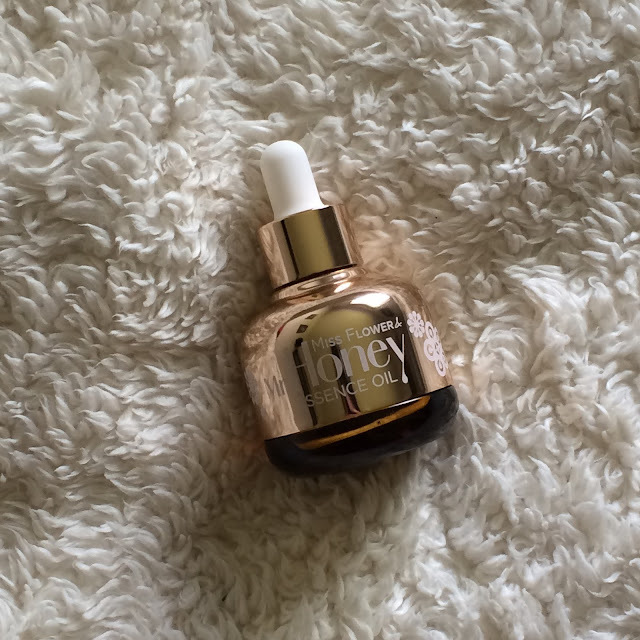 There was a time when I thought I was going to miss out on all the honey goodness skincare had to offer, but some careful patch testing revealed that I mainly need to avoid bee venom, and that most products with honey or propolis are just fine for me. More than just fine, in fact, they've become ingredients that now star in some of my favorite products at the moment. I've been loving these Banila Co products because, let's face it, tretinoin is a drying creature - even for my oily skin, it still leaves me flaky if I don't properly protect my skin at night. 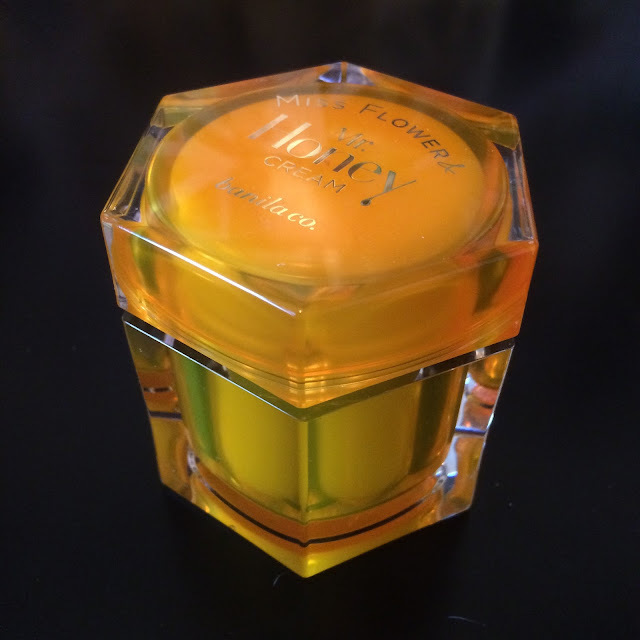 This cream is designed to be a thick powerhouse of honey, propolis, and royal jelly that holds moisture in your skin and makes it more resilient. It claims to strengthen your skin barrier, brighten, hydrate, and make the skin more elastic. Ingredients: Honey extract (42%), aureobasidium pullulans ferment, dipropylene glycol, dimethicone, cyclopentasiloxane, butylene glycol, glycerin, cetearyl alcohol, PCA dimethicone, niacinamide, glycereth-26, petrolatum, trisiloxane, glyceryl stearate SE, butyrospermum parkii (shea) butter, chrysanthellum indicum extract, plukenetia volubilis seed oil, argania spinosa (argan) kernel oil, olea europaea (olive) fruit oil, royal jelly extract, calendula officinalis flower extract, chamomilla recutita seed oil, pentylene glycol, dimethiconol, glyceryl stearate, PEG-100 stearate, ammonium acryloyldimethyltaurate/VP copolymer, PEG-150 distearate, water, raffinose, caprylyl glycol, dipotassium glycyrrhizate, adenosine, arginine, caprylic/capric triglyceride, octyldodecanol, hydrogenated coco-glycerides, sodium starch octenylsuccinate, maltodextrin, calcium pantothenate, hydrogenated lecithin, sodium ascorbyl phosphate, tocopheryl acetate, pyridoxine HCI, silica, xanthan gum, disodium EDTA, phenoxyethanol, fragrance, CI 19140. This oil is designed to moisturize and provide elasticity to the skin. It also claims to brighten. Ingredients: Collagen extract (55%), glycerin, water, methylgluceth-20, polyglycerin-3, niacinamide, ethanol, honey extract, aureobasidium pullulans ferment, theobroma cacao (cocoa) extract, royal jelly extract, propolis extract, chrysanthellum indicum extract, plukenetia volubilis seed oil, argania spinosa kernel oil, olea europaea (olive) fruit oil, anthemis nobilis flower extract, oenothera biennis (evening primrose) oil, limnanthes alba (meadowfoam) seed oil, helianthus annuus (sunflower) seed extract, calendula officinalis flower extract, pentylene glycol, PEG-8, butylene glycol, glyceryl polyacrylate, PEG-60 hydrogenated castor oil, adenosine, tromethamine, caprylic/capric triglyceride, octyldodecanol, hydrogenated coco-glyceride, sodium starch octenyl succinate, maltodextrin, calcium pantothenate, hydrogenated lecithin, sodium ascorbyl phosphate, tocopheryl acetate, pyridoxine HCI, silica, xanthan gum, carbomer, disodium EDTA, phenoxyethanol, fragrance. The first noticeably similar thing about these two products, besides the name and honey ingredients, is the smell. Have you ever smelled fresh honey? Sweet and incredibly aromatic with a sugary floral undertone. Both these products smell absolutely amazing, and have become my new standard for honey scented things. As you can imagine, being a cream and an oil, the textures of these two products are completely different. The cream has a thick greasy texture, reminiscent of Vaseline, but surprisingly absorbs into the skin without any issue. While this cream is meant to be an occlusive because of the oils in its ingredients, I personally find it to be a nice hydrating cream for day or night (when my skin isn't overly oily) because of the beautiful and non-greasy finish it leaves. 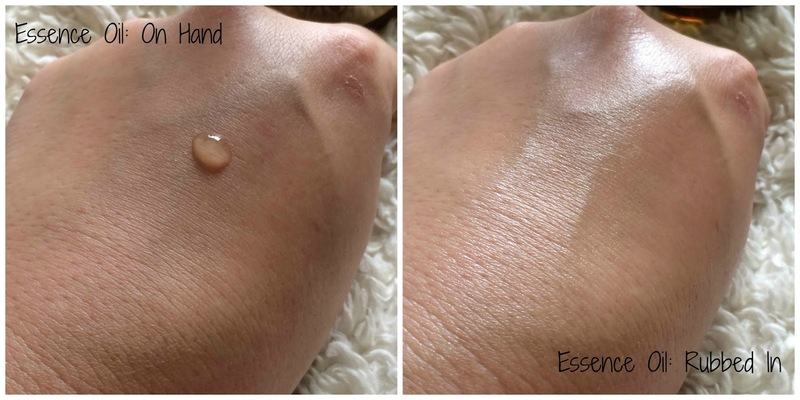 The essence oil is like a lightweight oil - it's runny and feels oily but it doesn't feel thick. 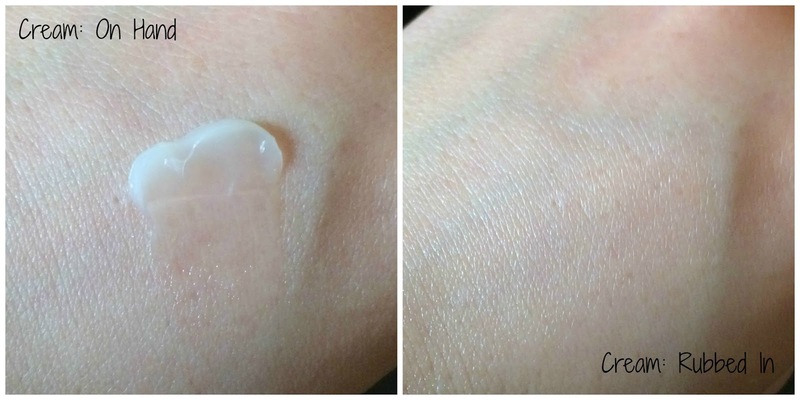 It has a more watery texture, but it still slightly repellent of the skin at first like an oil. There are many additives in this oil that help it's texture feel less... oily... but there is also alcohol which helps thin it out slightly and more than likely evaporates as the oil is applied to the skin. As far as performance, I personally enjoy the cream more on my oily skin - but also because of the alcohol content in the oil. While my skin doesn't seem to react too badly when I apply the oil at the end of my routine, I still experience mild breakouts occationally while using it, so I limit applications to once or twice a week so I can still enjoy the honey and collagen benefits it has to offer. I find both to be equally hydrating, and both smell just as delicious and sweet as the other, but the cream absorbs better into my skin, and is my go-to night cream. I am appreciative of the honey extracts that hydrate and smooth my skin while combatting acne on my skin, the niacinamide for brightening my skin, and the collagen for smoothing and plumping my skin - but since I use a prescription treatment as well I cannot say how well these products work alone for these issues, only how well they hydrate my skin, which they do very well. You can find these products at Memebox* (Cream / Oil), Jolse (Cream / Oil) and Amazon (Cream / Oil). I often forget to hydrate in the summer and it is just as important as the winter. Thanks for the new product info. 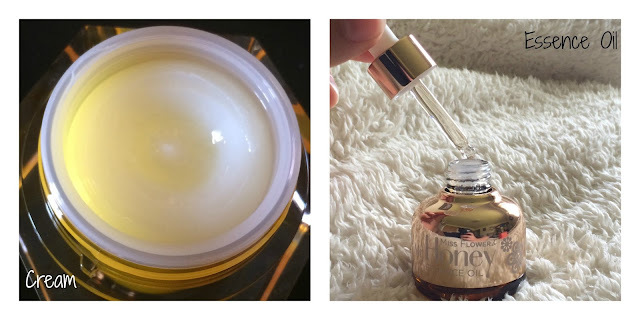 Honey makes a wonderful natural moisturizer. I'm glad to see more people making use of it. I have very oily skin, as well as acne. My skin doesn't realize it's 37 years old apparently..lol. After reading your review, I think the cream would be my best choice out of the two. I wish I could smell it through the screen! Ooooonow this sounds pretty fab!!! I have heard how awesome honey is for the skin! Must give it a try! I have no knowledge about beauty products, my wife is the one doing the shopping for us. I will share this to her.